The snack served at Remi’s bar is not the typical cicchetti snack – a bit of cheese or sausage – that the visitor to Venice might find in one of that city’s wine bars to accompany the ombra, or glass of white wine. 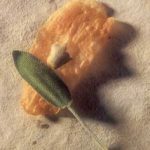 Remi’s appetite-whetting specialty is a carefully wrought potato chip made of two parchment-thin slices of potato sandwiching a sage leaf. These chips, brushed with clarified butter and browned in the oven, are child’s play to construct. 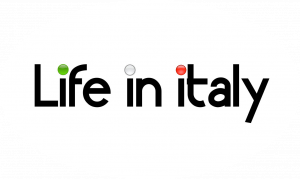 And kept in a tightly closed container, they last several days ” that is, if no one knows they’re available.” Lots of places serve pieces of focaccia at the bar these days,” says Francesco. But just as he is convinced that Venetians make the best risotto, he concedes that “to do a good focaccia you have to come from Genoa.” So he makes these irresistible potato chips instead. For festive occasions he substitutes thin slices of black truffle for the sage. One bit of advice: do not wash the potatoes after they have been peeled. Line a large baking sheet with parchment paper, and brush the paper with some of the butter. Using a mandoline or an electric slicer, slice the potatoes lengthwise very thin. Keep the slices in order, as if you were going to reconstruct the potatoes. 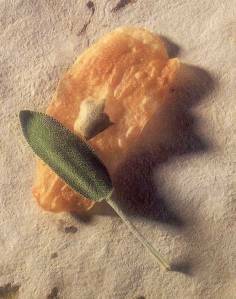 Starting from the side of a potato, place 2 adjacent slices together with sage leaf sandwiched in between. As the pairs of potato slices are assembled place them close to each other but not overlapping on the baking sheet. Brush them lightly with butter. Place in the oven and bake 15 to 20 minutes, turning them once as the edges brown. Remove from the oven and allow them to cool on racks.